Anyone who has experienced knee pain knows that it can really put a dent in the progression of a regular exercise program, and if left unchecked, may result in more serious injury. One particular knee injury that seems to affect exercisers who do a lot of running or jumping is patellar tendinitis, which is characterized by a sharp pain in the knee. The patellar tendon connects the bottom of the kneecap (patella) to the top of the large shin bone (tibia). 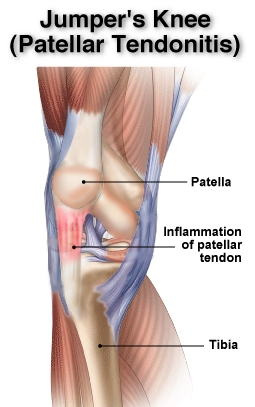 Patellar tendinitis (also known as Jumper’s Knee) is an overuse injury which usually occurs when too much strain is put on the patellar tendon, resulting in “micro tears” in the patellar tendon which leads to inflammation and pain. The powerful muscles on the front of the thigh, the quadriceps muscles, straighten the knee by pulling at the patellar tendon via the patella. Initially, the pain may only occur during exercise, but over time, will begin to affect everyday activities, such as going up and down stairs. It is important to consult an orthopedic doctor if patellar tendinitis is suspected, as knee injuries typically will only worsen without proper therapeutic treatment. 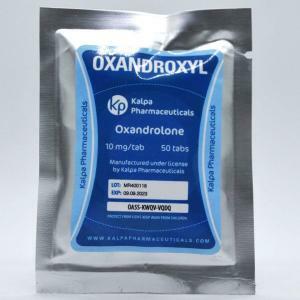 The doctor will perform some diagnostic tests, and depending on the severity of the condition, he or she may recommend over-the-counter anti-inflammatory drugs, such as Ibuprofen or Naproxen. Cold therapy is also commonly used to treat patellar tendinitis, usually by applying ice to the area for 20 minutes at a time. Although it is important to rest the knee, it is equally important to build strength to minimize the occurrence and severity of the inflammation. Since the quadricep muscles on the front of the thigh are utilized to straighten the knee by pulling at the patellar tendon, it is important to build strength in these muscles to prevent knee injuries. The doctor may recommend working out with a physical therapist who can develop a regiment of low impact exercises such as cycling, as well as a series of strength and stretching exercises. It is important to pay close attention to form when performing these strength exercises, which usually include a series of weighted leg lifts, leg presses and squats. 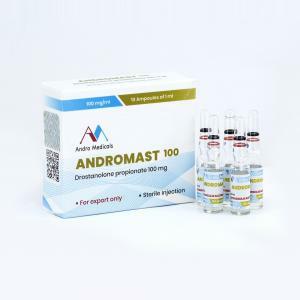 The doctor may also recommend the use of a supportive device, particularly while exercising, to compress the patellar tendon and to ensure the knee is properly tracking. Depending on how well one sticks to the program and how quickly healing occurs, abe back to regular fitness routine can usually be resumed in the next couple of months. Just remember, it is critical to consult and follow the advice of a doctor, physical therapist and most importantly, to take the appropriate time to recover is key to preventing injuries.